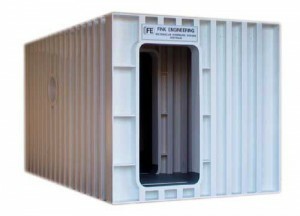 Fink Engineering, based in Queensland, Australia is committed to delivering square pegs for square holes. An industry leader in the design and development of rectangular hyperbaric chambers, Fink is able to use its state-of-the-art engineering facilities and fabrication procedures to deliver some of the most innovative and technologically-developed chambers in the world. By leading the way in the design of rectangular hyperbaric chambers, Fink Engineering has turned the chamber into a modern-day treatment room. 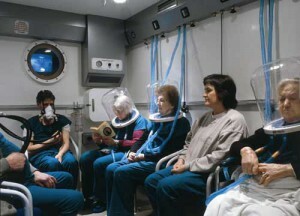 Through its extensive use of electronic valving, Fink has been able to combine its cutting-edge computer technology with concerns from doctors and patients to create a chamber unlike any other. Using pneumatically-controlled sliding doors that allow for wheelchair and gurney access, the chambers make one feel as though they have entered a regular hospital room. The inside of the chamber looks and feels the same as any hospital room, and it is accommodating for any other devices needed in treatment. As safety is always a concern, there is a fire deluge system located within the chamber to provide peace of mind to patients and staff. Offered in a variety of sizes, these chambers come in single, double and triple lock versions for added safety and convenience. Established in 1987, Fink Engineering has been an innovator in engineering design and consulting to the medical community. 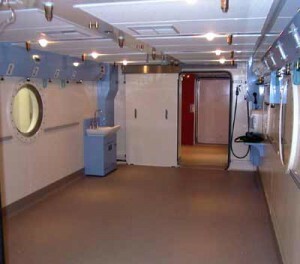 Working with doctors, nurses and various medical technicians Fink has been committed to using all its resources to develop the best hyperbaric chambers available, with the result being the revolutionary rectangular-designed chambers. An instant hit down under, these chambers are just now beginning to be noticed worldwide and are poised to meet the needs of doctors and patients everywhere. In fact, chambers have recently been shipped to New Zealand, Canada, Singapore and even the United States. Partnering with such prestigious medical facilities as the Mayo Clinic, Prince of Wales Hospital and Toronto General Hospital, Fink has brought new ways of treatment and care to different areas around the globe. Always in the news for its innovation, Fink Engineering recently started constructing the world’s largest Rectangular Hyperbaric Facility at Prince of Wales Hospital in Randwick. Never one to shy away from a challenge, Fink Engineering is and always will be leading the way when it comes to developing the best possible ways to treat patients needing hyperbaric technology. When it comes to being the best, Fink will always strive to be number one.